Your may be (getting a touch) older; you’re (also) getting better! “Love God. Love People.” Doesn’t that say it all? Posted on April 23, 2017 April 23, 2017 by JanPosted in DiscussionTagged Danny Gokey, Leyicet Gokey. Previous Previous post: Celebrate Freedom – Marietta, GA & Dallas, TX! Though Chris Janson waited a long time to have a breakthrough as a performer. So inquiring minds want to know . . . Did Chris Janson ever buy himself a boat? I sure hope Chris bought a really nice boat 🙂 I have seen him in concert (hosted by a Madison radio station) and he puts on a high energy show. TC is #34 today. It should get at least two monitored stations adding it. Danny is featured at MJ’s numbers today. a chain letter. Even though, I don’t like chain letters. :/ I thought it might be a good way to generate more votes for Danny… What do you think?? Can this video be posted here? Lurker, it is an instagram story posted by Leyicet. I could possibly copy it…. but they are suppose to disappear, unless the owner decides to save them. So, I won’t do that– unless Leyicet saves it. I thought I saw a new header–somewhere. When I looked again, I didn’t find it. Not sure if I saw what I thought I saw. I liked it though. TC is still #34 on Mediabase. But it is gaining 🙂 11 monitored stations now playing it. I love Mallary Hope! She’s so talented. I remember when she had been in a studio or something and heard Danny sing “I Will Not Say Goodbye,” and then she made a comment about Danny working on this very powerful song that moved her. Something like that. I have her song “Love Lives On.” Talk about a tearjerker! I don’t know Ryan Stevenson, but I’m very interested in what Hollyn does. I find her a breath of fresh air — doing Christian music but with a very modern twist. Stupid question — is Mallary doing Christian or country? She’s listed with other Christian artists, but I associate Curb Records with country music. I believe Natalie Grant is on Curb Records. So they must have a Christian branch. I remember in the Summer of 2012 Danny told me he was excited about meetings with Curb. But then we learned he wasn’t considered Christian music ready ….or something like that.. from Christian labels. Maybe they have broadened their views since Danny has become successful on a non-Christian label like BMG? The comment was part of a post written by someone who writes here. It was made at MJ’s 5 years ago. I’d love to see Danny & Mallary write together. I will have to put it on my list of things to ask Danny: if we could share it (only) at DGNews? I believe Mallary is signed to Curb as a primarily Christian artist, though likely not ruling out that she could cross over. As a songwriter, I haven’t heard much recently but would think like a lot of them she’d have no trouble supporting both audiences. I can’t recall the name off-hand but I think this was a different female artist who was in the Christian genre at the time. She heard IWNSG when Danny was recording it in Mark Bright’s studio. Something like that. I have seen her name in recent months on the charts, she continues to be active on Christian radio. Just came back to me. Meredith Andrews was the one who made the early comment about IWNSG. Mallary also has an early reference with Danny, they were both on the line-up of a country music Christian show the fall that Danny had his first single out with RCA. And did at least one or two joint concerts after that, I remember seeing them both on a line-up headlined by Jake Owens one time. Glad your memory is better than mine, Admin2! Some things just stick in my memory though they take a while for the details to come out of deep storage. Mortifying this morning it took me several minutes to come up with the name of a person who was sitting in my office with me for two years until last spring. Yikes. 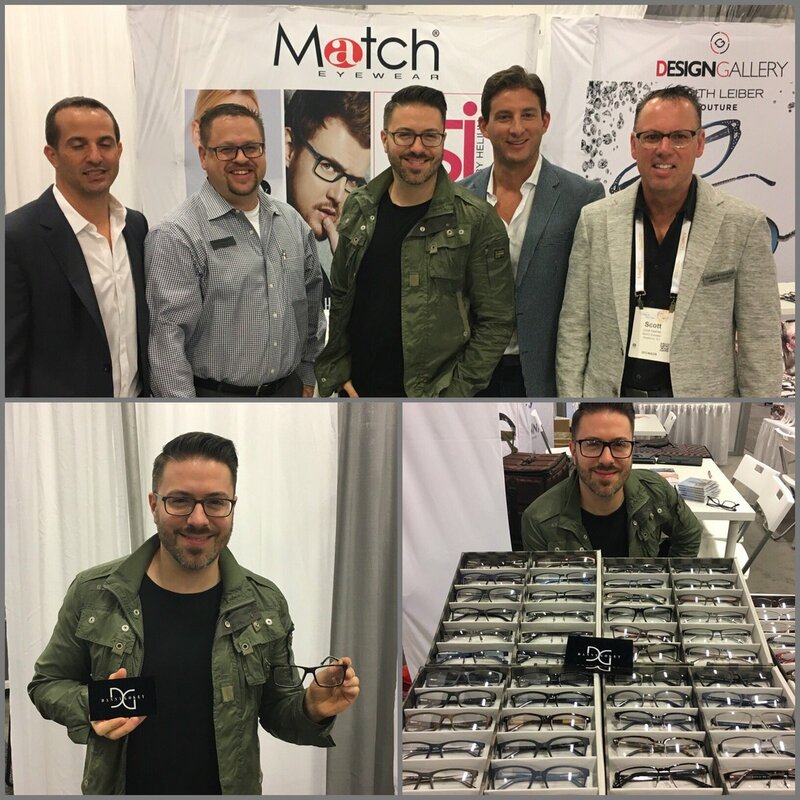 Good to see Danny is still promoting his eyewear line for Match Eyewear 🙂 I wondered why he had gotten new glasses while on the road last week (or the week before?) Probably wanted to have the most current styles on his face when he went to this conference in Nashville. Silly question. Is Danny’s eye wear available everywhere? We are averaging near 60 most of our days. Pretty typical WI weather for spring. Hoping we don’t get a frost. My lilacs and flowering crab trees are ALMOST at peak. Cindy, while the DG Eyewear line isn’t eveywhere, its in a lot of places. Even the little town near us.